Bruno Bonomo (Silvio Orlando) was a famous producer of b-movies in 70s; after a long hiatus, following the commercial fiasco of "Cataratte", Bonomo is going to be signed by RAI in order to produce a film about Cristoforo Colombo's homecoming. When the director Franco Caspio (Giuliano Montaldo) quits the project, Bonomo is forced to offer another screenplay to RAI, which is "Il Caimano" a screenplay he stumbled upon, written by the young director Teresa (Jasmine Trinca). 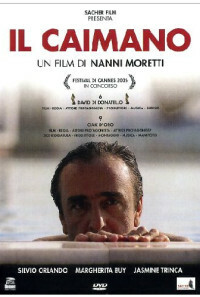 The film-in-the-film is centered on the figure of Italy's prime minister and media tycoon Silvio Berlusconi, a subject so controversial that even the public television refuse to produce it. 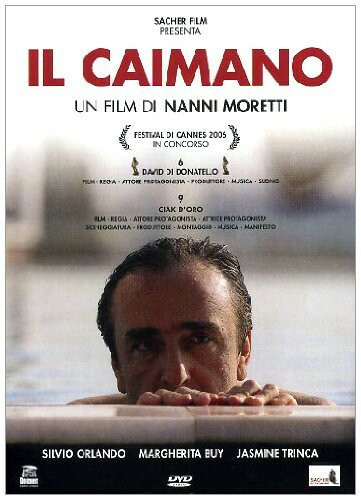 While Bonomo's private life collapses piece by piece, as he's divorcing from his wife (Margherita Buy), and the bank is pressing him hard to pay back his long-standing debts, he finds out that struggling to get this movie filmed is the only thing that keeps him alive. Regions are unavailable for this movie. Click the "Watch on Netflix" button to find out if The Caiman is playing in your country.